Kanban project management was created to eliminate wasteful work and focus team efforts. With this in mind, we created Hubstaff Tasks: a kanban board workflow that's transparent and efficient. Set up your customized workflow and then easily drag tasks to move them along in the process. Our kanban project management software lets you see who's working on what, within one team collaboration tool. Team task tracking allows you to keep projects moving forward. Bundle with Hubstaff time tracking for productivity and profitability metrics. Hubstaff Tasks provides a convenient, bird's eye view of what's in progress. Start from a template or blank state. Set up only takes a few minutes. Allotted storage for files. Option to add space for an additional fee. The number of client or project boards your team can have at one time. Add a time estimate to each task to better prioritize projects and assess workload. 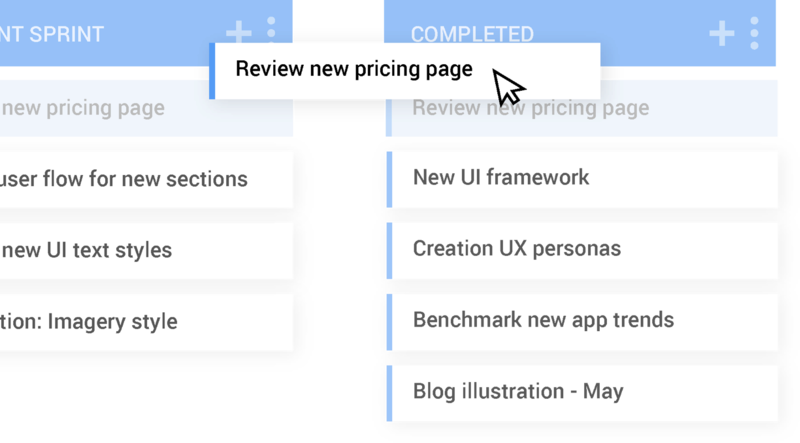 Create custom sprints to see what's in progress and what's coming up, plus all relevant details for each task. Get automated emails showing project status and daily updates.